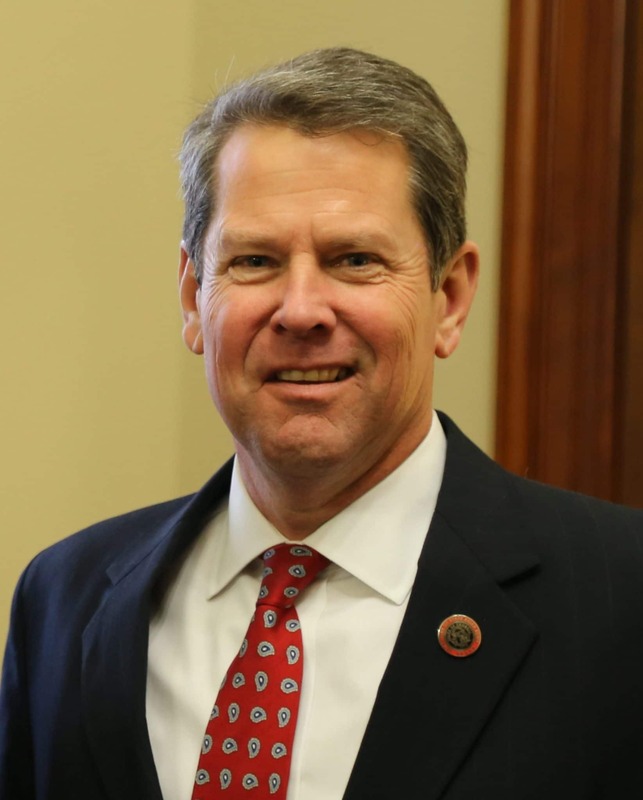 Brian Kemp is now officially Georgia’s 83rd governor. He was inaugurated at 2 p.m. Monday and kicked off his term as governor with a pledge to unify the state. After a contentious election campaign against democrat Stacey Abrams, Kemp used his inaugural address — his first opportunity to speak to all Georgians since the election — to extend an olive branch to those who did not support him. “We will unite for the betterment of our state,” he said near the end of his speech, which focused heavily on a theme of unity. Kemp spent the bulk of his address talking not about his own goals or himself, but about famed Georgia high school football coach Billy Henderson, who coached Kemp at Clarke Central High School. Henderson died last year. Kemp called him a foundational figure in his early life. Kemp used Henderson’s example of unifying a football team just after segregation ended to draw parallels about how he planned to unify Georgia after a difficult election season. While Kemp focused on his theme of unity, he also repeated several themes that were popular with his base on the campaign trail. The new governor pledged to “protect the values that we hold dear,” a refrain he repeated often during the campaign. Upon taking office, Kemp signed three executive orders. The first established the Georgians First Commission, a body that will identify regulations, policies, and procedures that are not friendly to small businesses. The second is a sexual harassment policy that covers the entire executive branch of the state and the third executive order establishes a code of ethics for the executive branch.